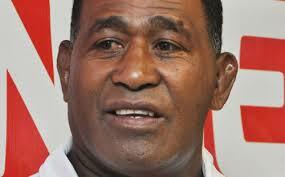 The 12-man Fiji 7s team to the Moscow RWC will now be named on Monday. Fiji Rugby Union today confirmed that the women’s team will also be named next week. The women’s team will also be announced next week. Fiji 7s coach Alifereti Dere had said yesterday that seasoned players and speedsters will be included in a16-man team was to be named today. According to Dere, the overseas based players can provide the experience while the local players have the speed, which would produce a good team for the Moscow 7s Rugby World Cup. The 7s Rugby World Cup will be held from the 28th to the 30th of this month in Moscow. Fiji is pooled with defending champion Wales, Tonga and Uruguay.